Betalphing allows investors to outperform a traditional balanced/flexible allocation with a markedly lower volatility and a lower maximum drawdown, through a disciplined, smart and dynamic asset allocation. 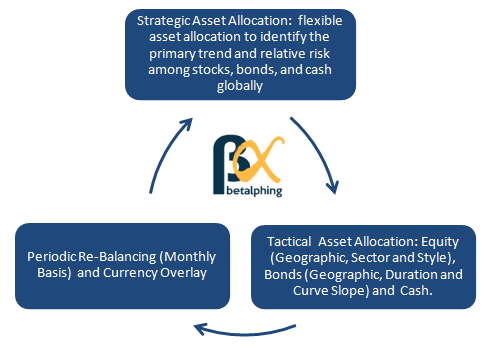 Betalphing is a two-steps investment methodology that aims to generate outperformance over the benchmark (also called “Alpha”) through an optimized asset allocation model. In other words, to get `Alpha´ through the best `Beta´ Allocation. A monthly Stock/Bond Model first generates the allocation to stocks, and then the balance of the portfolio is allocated between bonds and cash based on the reading of the Bond/Cash Model. Stock returns are proxied by the MSCI World Total Return Index, bonds by the Barclay’s Global Long Term Treasury Total Return Index and cash returns are proxied by an equal-weighted average of the total returns of three-month Treasury securities from the U.S., Japan, U.K., Canada, and the Euro-Zone. 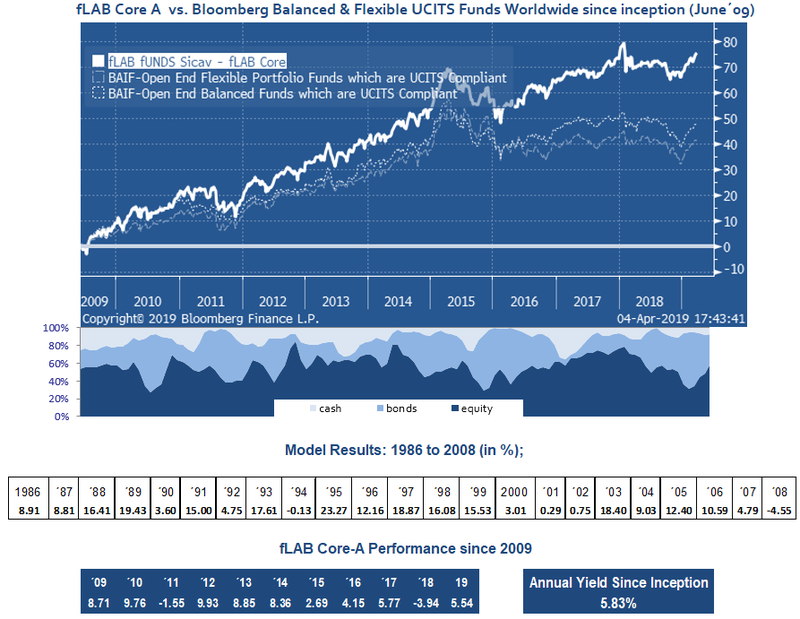 Model Transparency: The allocation indicators that we use for our Asset Allocation are the key point of our Fusion Analysis. 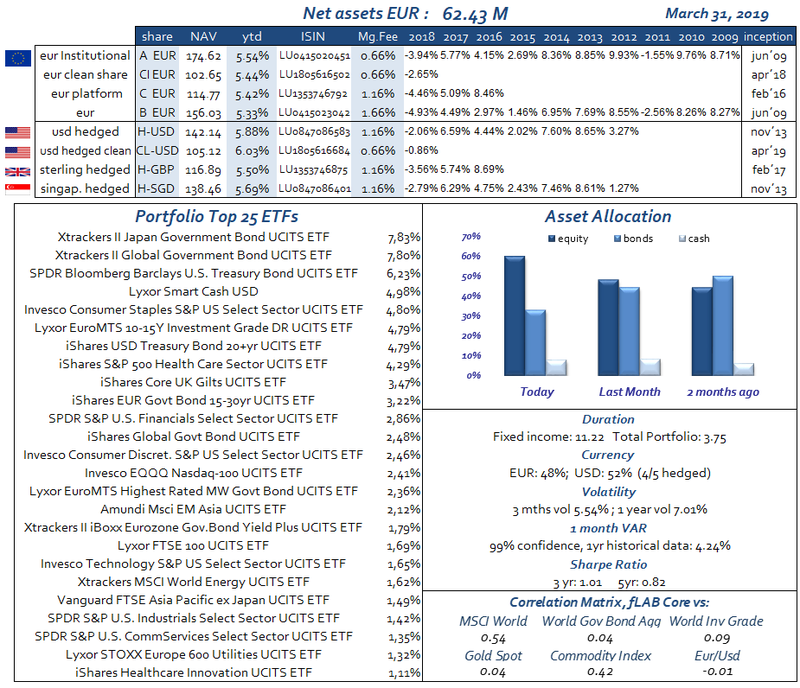 They are a perfect sample of our 5 types of analysis: trend, valuation, sentiment, economic & interest rate indicators. Choosing an ETF over another is complex and challenging. Once a benchmark is selected, assessing the quality of ETF candidates is a specific task that requires disciplined steps.